THE DIE IS CAST! On Thursday this week, March 16, the much-awaited 2017 Confederation of African Football (CAF) elections will hold in Addis Ababa, Ethiopia. 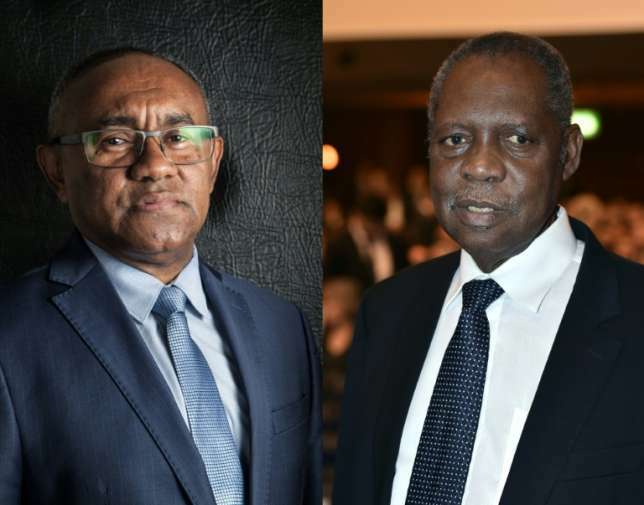 The main contest for the CAF presidency is between incumbent Issa Hayatou of Cameroun and Madagascar FA president Ahmad. But there will be other contests for eight seats on the CAF executive committee as well. The CAF vote was the topic of discussion last week at The Sports Parliament, the brand new discussion programme on the NTA network where I sit along with Speaker, Chief Segun Odegbami and other Parliamentarians to dissect issues concerning Nigerian sports (11pm – 12midnight every Thursday on NTA network. Don’t miss it). The unanimous verdict of the Parliament was a resounding support for Ahmad to end Hayatou’s long reign. But achieving that objective is easier said than done. Despite Hayatou’s loss of popularity amongst most African football fans, he still is the favourite to win among those who will actually cast the votes. Zone 1 (Northern): Libya, Algeria, Morocco, Egypt, Tunisia (5 members, 2 executive committee seats, 1 vacancy). Zone 2 (West A): Guinea, Gambia, Mauritania, Liberia, Senegal, Guinea Bissau, Sierra Lone, Cape Verde (8 members, 2 executive committee seats, 1 vacancy). Zone 3 (West B): Cote d’Ivoire, Nigeria, Benin, Niger, Ghana, Mali, Togo, Burkina Faso (8 members, 2 executive committee seats, 1 vacancy). Zone 4 (Central): Cameroun, RD Congo, Congo, Gabon, Equatorial Guinea, Sao Tome & Principe, Central Africa Republic, Chad, (8 members, 2 executive committee seats, 1 vacancy). Zone 5 (East): Burundi, Rwanda, Djibouti, Ethiopia, Sudan, Eritrea, South Sudan, Kenya, Uganda, Somalia, Tanzania (11 members, 2 executive committee seats, 1 vacancy). Zone 6 (Southern): Mozambique, Namibia, Madagascar, Seychelles, Lesotho, South Africa, Zambia, Mauritius, Malawi, Botswana, Zimbabwe, Swaziland, Angola, Comoros (14 members, 3 executive committee seats, 2 vacancies). Female Member: (1 executive committee member, 1 vacancy). Zones 1 to 5 have two members each in the CAF executive committee, while zone 6 has three members. There’s a special seat reserved for a female member and one for the CAF President, bringing the total membership to 15 (Article 22 of the CAF Statutes). This year, elections will be contested for the sole female seat, one seat each in Zones 1 to 5, and two seats in Zone 6, bringing the total to eight. One of those contests is between Nigeria’s FA president Amaju Pinnick and Moucharafou Anjorin of Benin Republic in Zone 3 (West B). The tenure is four years, 2017-2021. The tenures of the other executive committee members whose seats are not being contested this year began in 2015 and will expire in 2019 when another election will be held. CAF arranged the tenures in this overlapping manner so that in case all the incumbents in a tenure lose their seats at an election, there will be others on the executive committee with the experience to give orientation and direction to the new in-coming members. Apart from the six CAF zones that I have listed, there are also three linguistic blocks among the 54 members. Eighteen are Francophone, 19 are Anglophone while the remaining 17 are grouped together as Arabic/Portuguese/Spanish speaking. If two of the language blocks vote en mass for one candidate in the presidential elections, it would result in a landslide victory for that candidate. The elections are by SECRET BALLOT and winners will be decided by ABSOLUTE MAJORITY. If there’s a tie in the first round of voting, a second ballot will be held to break the tie (Article 18 of the CAF Statutes). There will also be an election to pick the African representatives to the FIFA Council in Zurich. Each CAF linguistic block has one seat on the FIFA Council and three other seats are free to “open applications,” bringing the total to six for Africa, apart from Hayatou who is a senior vice president of FIFA. Kalusha Bwalya of Zambia (Anglophone), Danny Jordan of South Africa (open applicant) and a member from South Sudan (open applicant) were forced to withdraw from the FIFA Council contest after failing FIFA’s integrity test. That leaves Tunisia (Arab/Portuguese/Spanish), Democratic Republic of Congo and Cote d’Ivoire (Francophone), Ghana and Tanzania (Anglophone) in the race for the FIFA Council in addition to candidates from Guinea, Egypt and Burundi who are vying as “open applicants.” The Tunisia candidate and all three “open candidates” will be elected unopposed while the four Francophone and Anglophone candidates will slug it out for two seats. But the big battle is for the CAF presidency and membership of the CAF executive committee. According to the CAF General Assembly procedure (Article 17), the first election that will be contested is for the presidency, the outcome of which usually impacts on the other elections. Therefore, if Hayatou defeats Ahmad, the likelihood is that Moucharafou who is in Hayatou’s camp will also emerge victorious against Pinnick and so on. Hayatou is counting on the loyalty of members who have benefited from his presidency during the close-to-30-years of his reign. He expects to win majority of the votes in Zones 1, 4 and 5 while splitting the votes in Zones 2, 3 and 6. That would hand him a comfortable victory. On the other hand, Ahmad is hoping that enough members will be disillusioned with Hayatou’s long reign and finally break ranks with the Camerounian. He is hoping also that the influence of FIFA president Gianni Infantino who has not hidden his dislike for Hayatou will tip the scale in his favour. Hayatou fell out with Infantino during the 2016 FIFA presidential elections when he reportedly directed CAF members to vote en bloc for pre-vote favourite Sheik Salman bin Ibrahim al Khalifa of Bahrain, president of the Asian Football Confederation (AFC). Many CAF members however broke ranks to vote for Infantino who subsequently won the election on a second ballot by 115 to 88 votes. Ahmad is hoping that those same countries that broke ranks in Zurich will vote for him in Addis Ababa, but nothing is guaranteed in politics. I will conclude this pre-election analysis by returning to the home front. Two weeks ago when I last wrote about the CAF elections, it was uncertain at the time whether Nigeria’s minister of sport, Solomon Dalung would back Pinnick’s decision to support Ahmad. However, I was surprised when the minister not only endorsed Pinnick’s candidacy for an executive committee seat, but also approved his public backing for Ahmad in the presidential race. I wondered about how Pinnick pulled off the “double coup,” but now two theories have emerged. One is that the minister was pressurized by top government officials of the All Progressive Congress (APC) to rubber stamp Pinnick’s position. One former governor reportedly spoke to another former governor who then spoke to Dalung and that was it. The second theory is that Pinnick “convinced” the minister with some direct benefits that Ahmad has promised to Nigeria. These include, among others, the appointment of Nigerians into top CAF administrative positions such as the office of the secretary general and director of media. We will have to wait to see how true this is if Ahmad wins. Meanwhile, more information has come to light about why the Nigerians presently serving in CAF committees are not in support of Pinnick’s agenda to oust Hayatou. 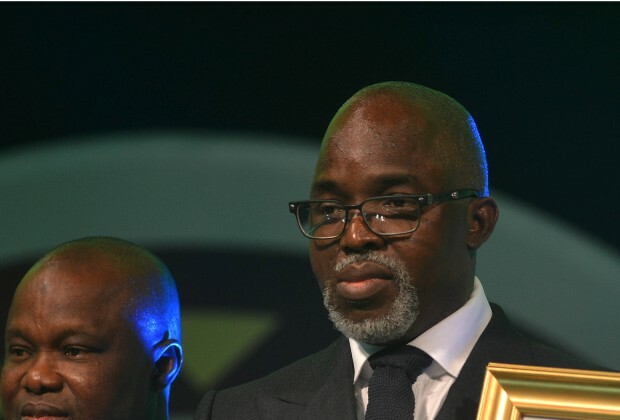 Soon after his inauguration as president of the Nigeria Football Federation (NFF) in 2015, Pinnick started making moves to recall some of the Nigerian CAF Committee members so that he could replace them with his own loyalists. 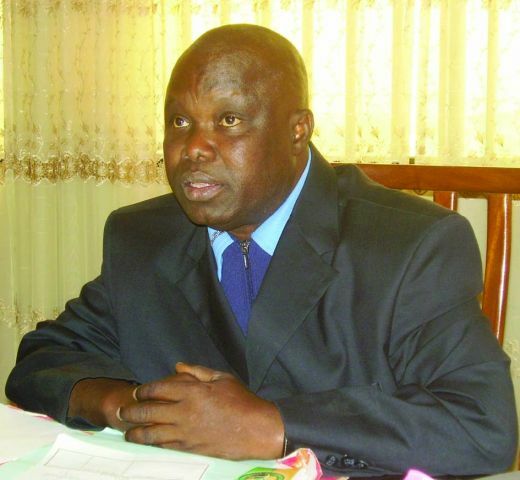 Hayatou blocked the changes from taking place, so the affected Nigerian members feel indebted to the Camerounian. It is therefore natural that they would remain loyal to the CAF president. The good thing about the division in the Nigerian camp over the CAF elections is that, whoever wins the presidency between Hayatou and Ahmad, Nigeria’s interest will be protected somewhat. If Ahmad wins, Pinnick will be there to ensure that we get the reward for supporting the Madagascan. And if Hayatou retains his seat, the Nigerians in CAF committees will plead with him not to punish us! I am rooting for Ahmad. But, in the interest of African football, may the best candidate win. PS: Following wide-spread criticism that has dogged Hayatou’s long stay in office since 1988, CAF at its Extraordinary General Assembly in Cairo on September 9, 2016 adopted “term Limits” for the president and members of the executive committee. They can no longer be elected for more than three terms of four years each (whether consecutive or not), totaling 12 years. But the previous mandates already served before the 2016 resolution will not be counted. (Article 22:9b). So, if Hayatou wins on Thursday to secure the presidency for 2017–2021, he still will be eligible for two more tenures (2021-2025 and 2025-2029) after that! Term limit indeed!!! Hayatou, good radiance to bad rubbish! Nigeria's chances of winning the next Afcon just increased by 90%! Congrats to Pinnick! Congrats to the Sports minister! God-wins!